After unveiling a first preview of Android N a few weeks ago, earlier today Google unveiled the second preview for its upcoming mobile OS version. Included in this second Android N Preview are a range of bug fixes, as well as a several new - and very interesting - features. Right off the bat, we'd like to note that the second Android N preview fixes several known bugs discovered in the first version, such as problems with connecting to hidden Wi-Fi networks as well as issues with the Multiwindow system. Speaking of the new Multiwindow feature, the second Android N preview also brings an API change that allows developers to set maximum and minimum heights and widths for their apps. The most interesting addition that Google's second Android N preview brings to the table is the new Vulkan 3D rendering API, one that allows 3D app developers to access the GPU directly. Google says that the Vulkan API will bring a notable boost in performance for graphics-heavy apps. The blog post that announced the new Android N preview mentions that, in some cases, performance in synthetic benchmarks can increase up to tenfold when using the Vulkan API compared to OpenGL ES, the standard solution. Another notable addition are the new Launcher shortcuts. Using a new API, app developers can now expose quick action shortcuts to the launcher. Google says that launchers can be expected to show between 3 and 5 shortcuts for an app. As for shortcut examples, IM apps are expected to expose shortcuts for messaging most frequently used contacts while mapping apps are expected to expose "navigate to home" shortcuts. The new Android N preview also boasts several new people emoji. As you can see for yourself in the image below, these are nothing to write home about. The new Android N preview is now available for Nexus 6, Nexus 5X, Nexus 6P, Nexus 9, and Pixel C devices. The preview can also be downloaded on General Mobile 4G Android One devices. The update will also be made available for the Nexus player in the following days. What do you guys think of the new Android N preview? Are you excited about the new Vulkan API? Really, really hoping Vulkan games are done properly on Android. Vulkan hasn't got any love on PC, initial PC benchmarks have been poorly optimised (losing to DX11 even) and DX12 implementation has been messy overall. This is normal for a new API, for an example look at DX9 at release and now, the difference is, well, mindblowing. It will take a bit of time before people get to know vulkan and iron out the possible issues with how you need to optimize and such, but adopting it early means people 'can' do that, so it isn't that PC hasn't given Vulkan any love, it is fully supported currently last I checked, the 'problem' is developers haven't had time to figure out how to make use of it properly. 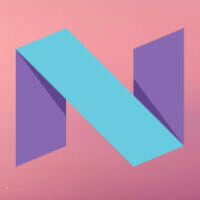 Vulkan isn't build into Android M which the S7 devices come with, but they will most definitely be getting the Android N upgrades when they are ready. Version naming is not any devs strong suit though, for help.https://en.wikipedia.org/wiki/Android_version_history Go there and try to understand why what names were chosen, I can't. My understanding is the S7 TouchWiz Marshmallow version does contain and support the Vulkan API. Learn yourself a programming language or 2, and then it's best to get a book explaining the lifecycle of an activity and the API of the OS you're interested on, that's all! Samsung just spun it to make it sound like that. Everyone is getting Vulkan with Android N.
Hrm, you are right, seems they have adopted it separately? but android officially only gets support at Android N, so yeah my mistake, a thing I must have missed. Until Google rewrites Android for direct hardware access as iOS and Windows has with Direct X, any API that runs within a VM is still not going to offer equal quality. To me, Vulcan is just a fail attempt to mimic the real thing. It would be cool if Microsoft was an Android OEM and they wrote a Direct X API for Android that would give direct hardware access. Microsoft own Virtualize platform, VMWare as well both have API's that even when using a VM tap the direct hardware capabilities of the CPU and GPU. If Android had this and we do benchmarks, those scores would be 4 times higher than an iOS device consider that Android has 4 times the CPU power, double the RAM which means you can load apps in more memory space which means you can add more graphics to games and apps with it causing performance issues...just like on a PC. Come on Google, you have the money. Hire someone to figure out how to make this happen. ART already does it and scores wont be 4 times higher. As Ordinary already has said, this has already been done in Android N. But yeah it won't be a solid number because it also depends on how the benchmarks and games have used Vulkan right., so yeah. I am really holding my self from buying N6P (2015)...just to try Android N.
I'm loving my Nexus 6 on Marshmallow. It's so smooth and stable... :) It does everything very quickly. I don't feel the need to upgrade in a while. It's going to take time for this be adopted by developers, not much advantage having this now. I'd go as far as to say there is no advantage to having this right now.